The 33rd International Chess Festival Conca Della Presolana – ScaccoBratto was held on 17-25th August at the Hotel Milano, località Bratto, Castione della Presolana, Italy. 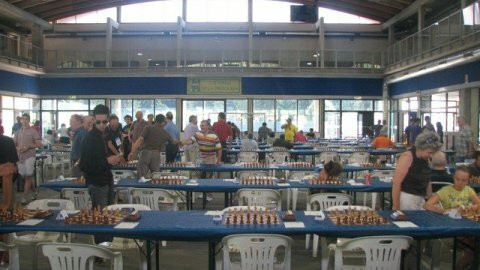 The Festival was organized by the historical chess club Scacchistica Milanese, the Italian Chess federation and ScacchiRandagi. The main Master section had 58 participants. Ukrainian Grandmaster Andrey Sumets took a clear first place with 7,0/9 points to win the top prize of 1000 EUR. The total prize fund was 7000 EUR.